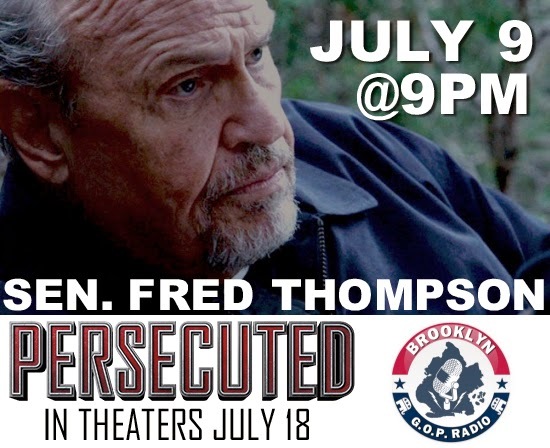 I am so excited to announce that next week, Brooklyn GOP Radio sits down with Sen. Fred Thompson to discuss his latest role as Dr. Charles Luther in the new film PERSECUTED, which opens on July 18th in theaters nationwide. Click on the link for times and locations. 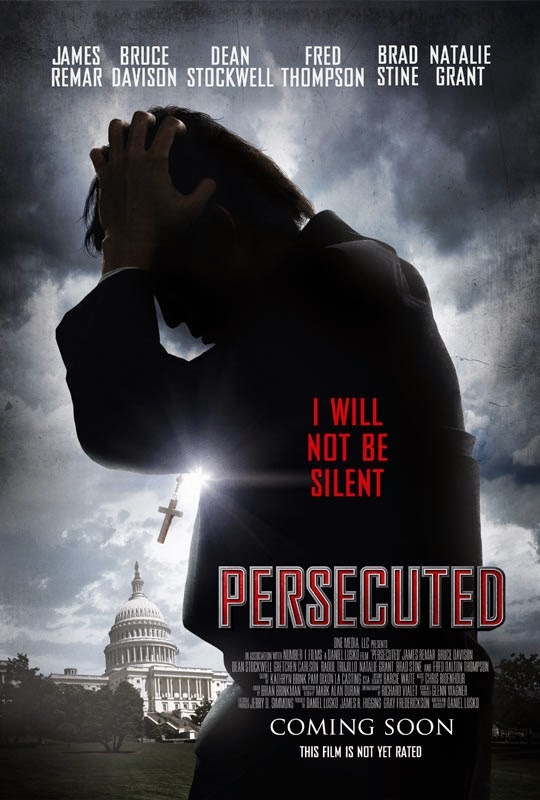 The new movie Persecuted depicts evangelist John Luther as the last obstacle in the way of sweeping religious reform. When a Senator frames Luther for the murder of an innocent teenage girl, an unprecedented era of persecution is unleashed. An evangelist turned fugitive, Luther’s mission brings him face-to-face with the coming storm of persecution that will threaten the entire Christian community in America. Before becoming an actor, attorney and politician, Sen. Fred Thompson worked as a shoe salesman, truck driver and factory worker. His film career began in 1985 when he was asked to play himself as the U.S. Attorney in the film Marie His natural on-screen talent led him to roles in major motion pictures such as No Way Out, Days of Thunder, Hunt for Red October and In the Line of Fire. Fred is the only actor to be a regular on two different Law & Order series at the same time. After hearing this interview, I dare you NOT to go right out and see Persecuted!